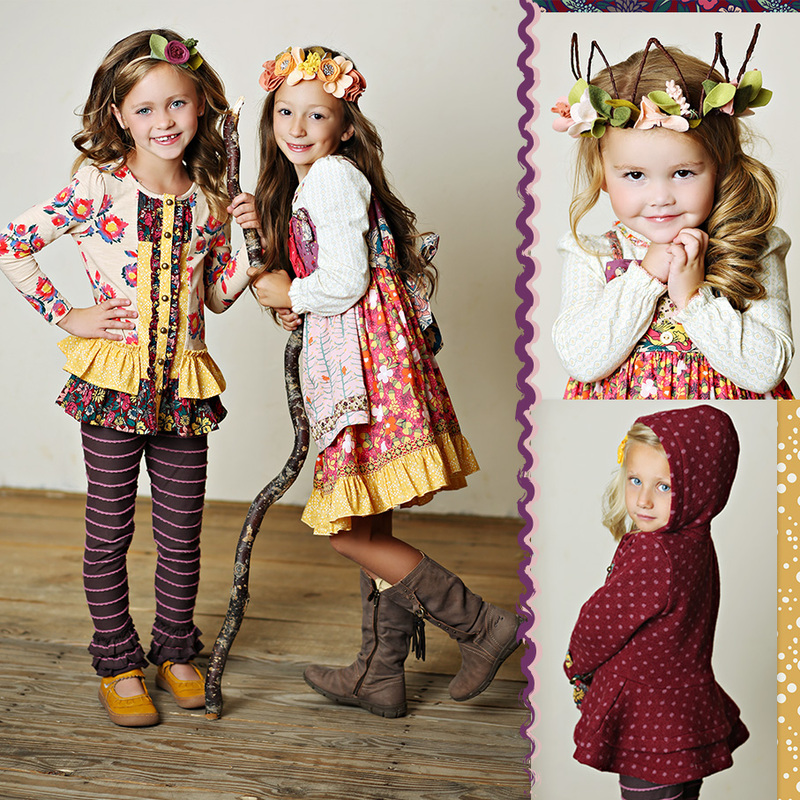 Ready for some new fall pretties? assortment where every piece reminds you of your favorite fall memories.…and ours! Bee Tee from this collection and layered over either the Nellie leggings or the Bianca Bennys. Another favorite is the Devon coat. This beauty is inspired from our very own Hawthorne coat. (We love to take inspiration from the styles we hear you love and would like to see new versions of!) We remade this in a softer quality wool to keep your cutie warm and comfy this fall. So many great styles and great coordinating sets for sisters and mom. I hope we see some MJC in your fall family photos on Facebook! Where are those boots from? SO cute!!!! Oh my goodness. Y’all NEVER disappoint. These are adorable! Absolutely in love with this release!! Love the matching combos and all the beautiful colors!! Thanks for designing such awesome clothes!! The color palette is outstanding l. Well done! I love that the baby pieces are a part of every release! Yeah for the LI girl (I’m from Northport😉)! @brenan the headbands & crowns are fancyfreefinery on etsy and they ARE to die for! Yay! I love seeing our headbands in this shoot! <3 Can't wait to see more photos! Love the colors and the pops of yellow! 🙂 Can’t wait to see it all! I need a baby stat..how adorable! We are all buzzing over release #3. Cannot wait to get to see all these precious pieces, especially excited for 435 and Mama additions! I have to agree that Marlowe Knot dress is so precious. I really love, love that Devon coat too! It’s all so pretty. I also love that the prints are great for fall, but they will also be great pieces to transition into spring! Drooling! MJC back to it’s roots with this release ♡♥♡ Cannot wait! 1. The leggings/tunic is on point. I truly adore it! 3. Give me that baby and those baby toes!